To kill a king…he has created an army. The world’s most dangerous man, Toyo Harada, has been struck by the one thing he never thought possible – fear. 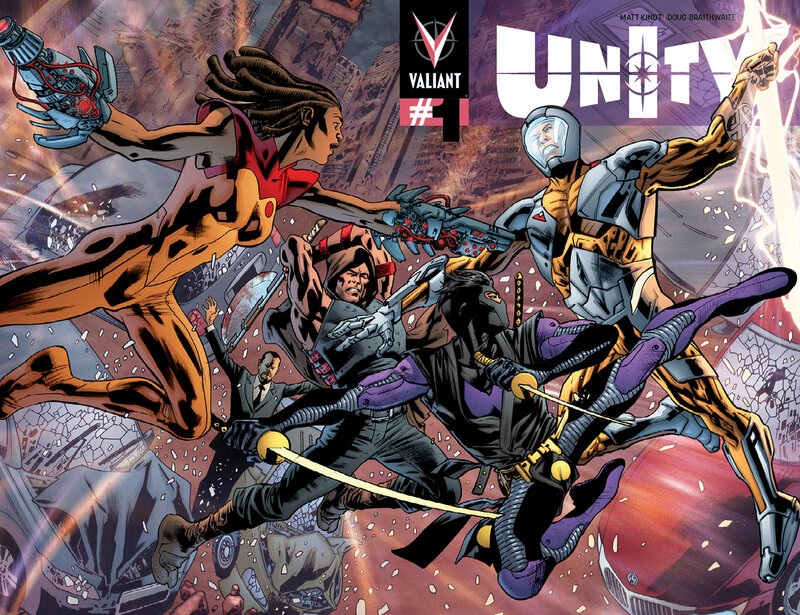 Halfway across the globe, a new power threatens to topple modern civilization and, to preempt the cataclysm that is to come, Harada will unite the most unforgiving team the world has ever known – UNITY. 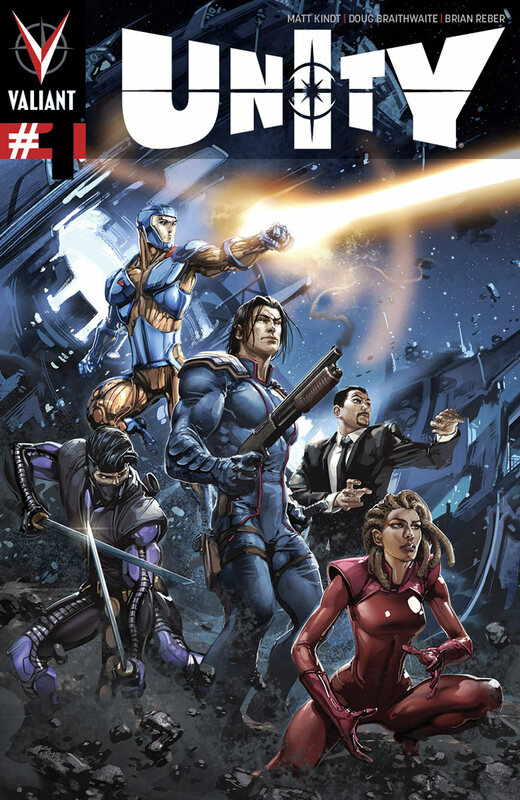 Their mission: defeat the threat responsible for the destruction of MI-6, the decimation of an alien world, and the occupation of Eastern Europe… Unseat the warrior king armed with the universe’s most powerful weapon… Kill X-O Manowar! Summary: Aric of Dacia has returned to earth and taken a nation by force. The Russians are upset and threaten nuclear action. Harada and the harbingers are contacted and he send in his team working with ninjak. The team is decimated and harada is forced to contact ‘Livewire’. Art- appropriate and unique best describe this opening salvo. In many ways its quite similar to the opening issue of Watson and Holmes. This simple pseudo painted aesthetic is quite pleasing, in many ways this style screams ‘Neo sheik’, I like it! Conflict-Aric is from the past straight out of showtimes Spartacus with a powerful alien armor and ship in the middle of a modern world. This is a recipe for disaster, especially when you realize how much human society has changed since his people roamed the land. Characterization– I love Aric! Here he’s the same pig headed, awesome , take no name warrior he’s always been. Ninjak meanwhile is an assassin for hire who despite parting with Aric on good terms is here for the money but also has all his neat gadgets. Harada was his typical scheming self. All in all everyone was well characterized! Sales Pitch- Now for those who have missed it. You need to be reading ‘harbinger’ and ‘X-o Manowar’ not just for a background on whats going on but because they are some of the best books currently out there! Black heroes- Livewire is back! Here is a strange bed fellow for Harada as she cant be controlled by him. She betrayed him in the early part of the new harbinger series as she thought peter Stancheck would serve to counter balance Harada’s ambitions and power. The other one was here in the blink of an eye and was killed so he was just fodder. Text boxes– Guys you need to mention which issues past characters met or important past happenings it helps sell back issues, helps collectors and is just good business all around! 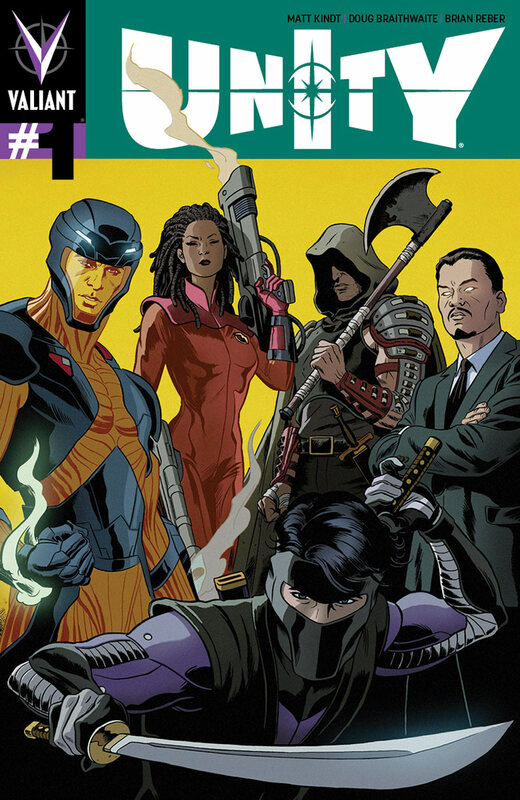 Accessibility- While I found the issue easy to jump into for new readers you really do get so much more from his issue if you know what’s been going on in the Wider Valiant universe.